This tour will take place at the coffee plantation in kintamani region with magnificent view of batur mountain. 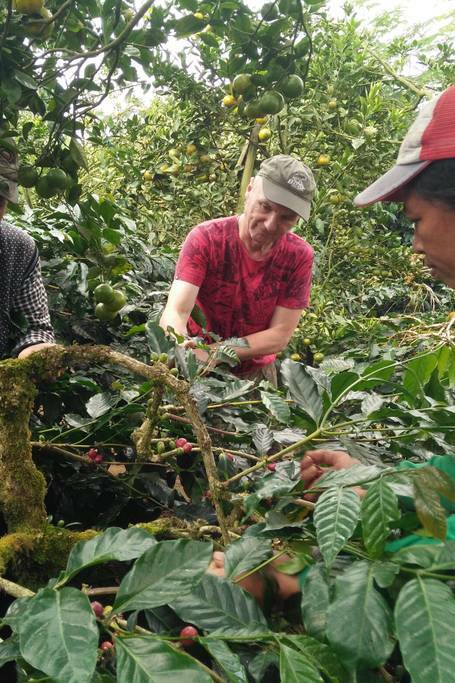 You will be guided with an experienced and knowledgeable person from farmer family, Komang. 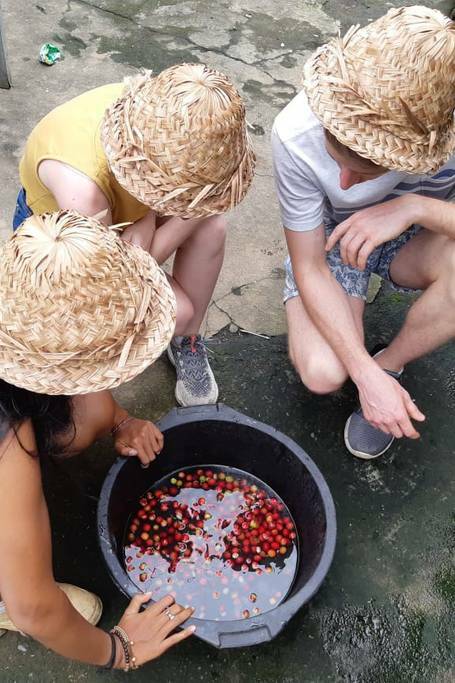 You will get to know all about coffee, from plantation to coffee processing until end up in a cup of coffee. 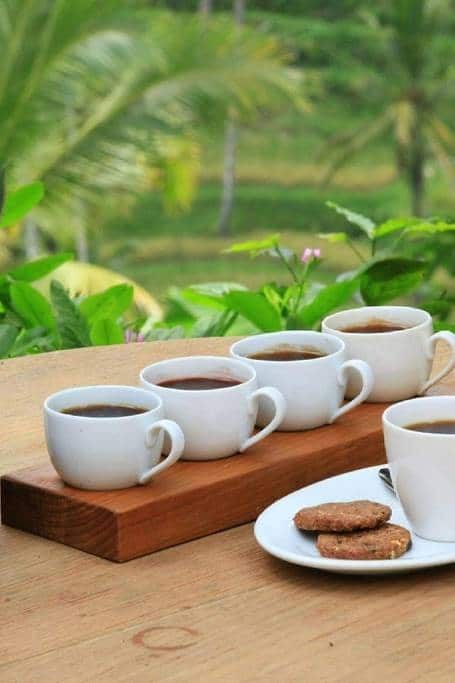 A package of 200 g arabica coffee also you can bring home as a gift from this tour and will continue to having lunch in the restaurant facing the great mount batur view. This offer you unique life experienced tour that you never get somewhere else. 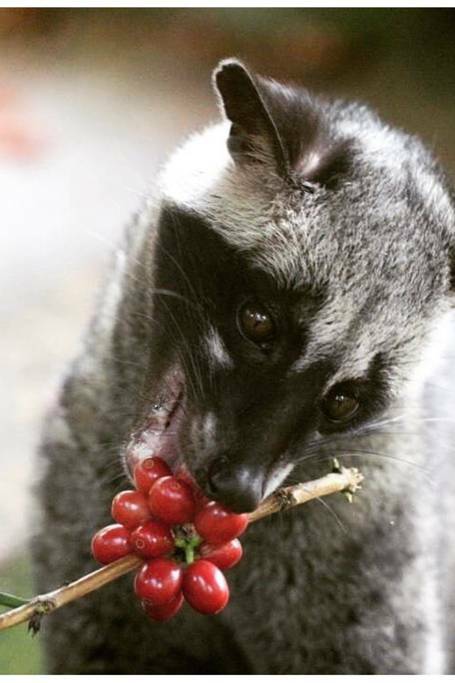 His name is Komang, he was born and raised in Kintamani Bali in a farmer family. 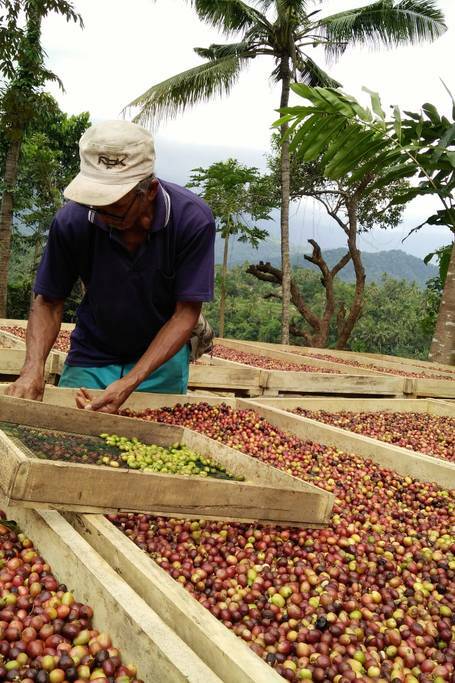 Coffee has been a part of his family for 3 generation, and now the legacy is on his shoulder. He’d been experiencing so many things about coffee from farming, roaster, and own a coffee business. 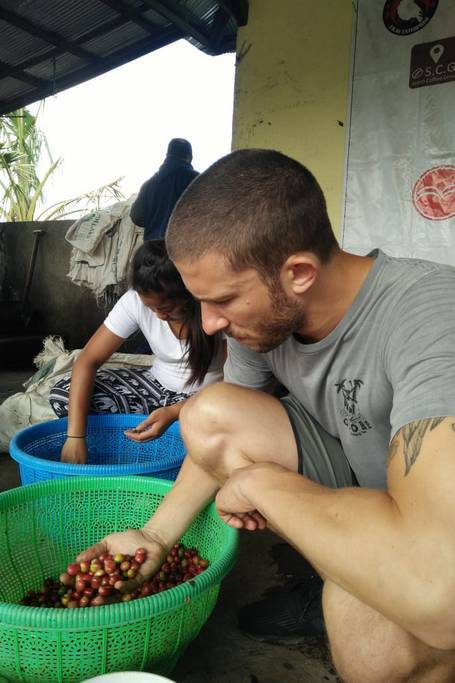 Beside that, he also a speaker in a few Universities and some workshops for Coffee Farmer all around Indonesia. Receiving few awards from the Goverment for his dediaction of sharing the knowledge about coffee. 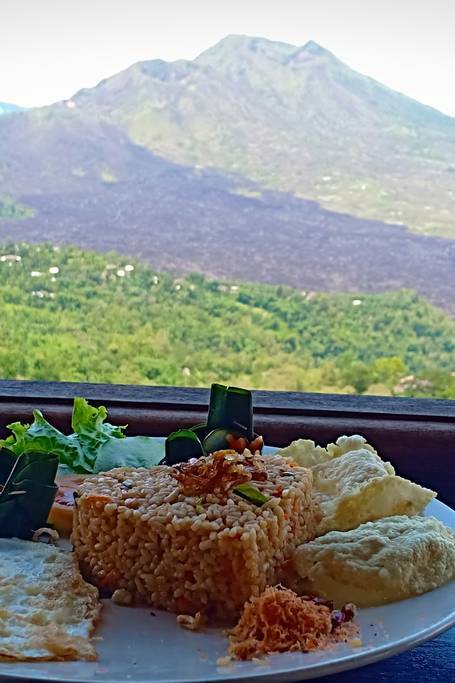 Fried rice cooked in Balinese style, with vegetables and eggs (Available also vegan fried rice) Served with warm ginger tea coffee. 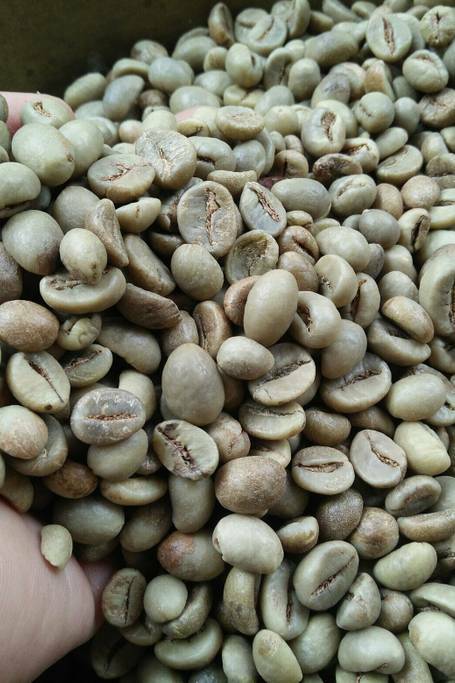 Coffee welcome drink +-200 gr green bean coffee for roasting activity that you will test to drink then bring home the rest. Free pick up and drop off around Ubud. Also stop by for picture taking & enjoy the view in beautiful pine forest of kintamani. Car include private driver and experienced guide. Hand wooven hat, Bamboo basket for harvesting, also Manual coffee processing tools and knowledge of traditional processing. 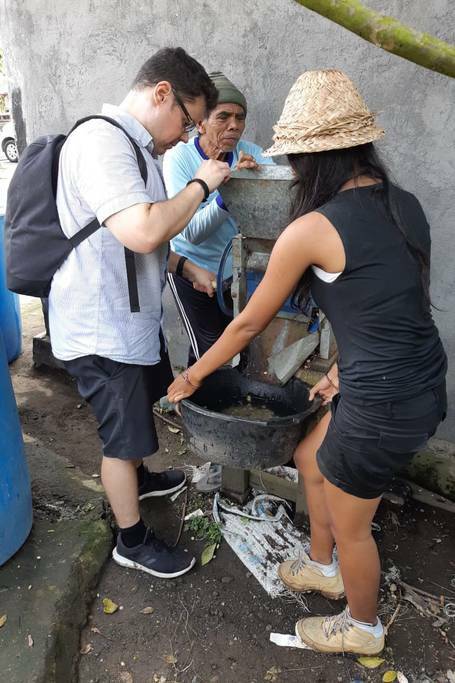 Balinese snack for coffee break #BONUS: Orange free picking for eat #Tea leaves, Sascara (skin of coffee) and honey testing. 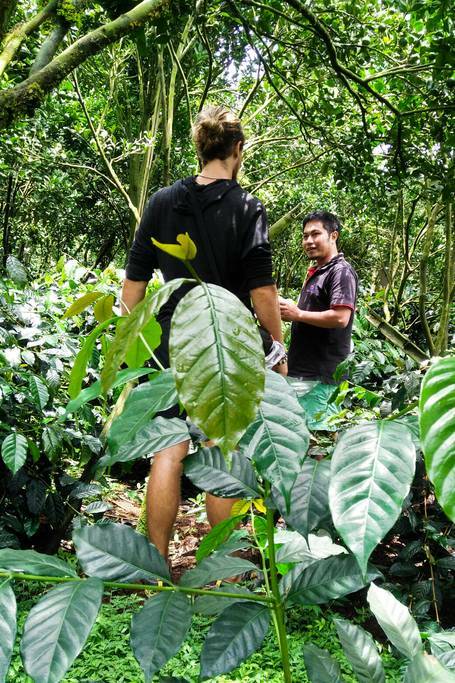 Komang will take all the participants to a coffee plantation in Kintamani that traditionally running by the village. 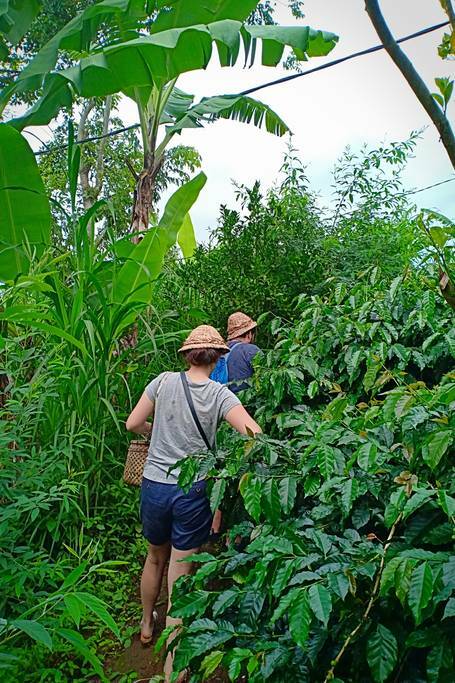 We’ll walking around the plantation to see all the activity and all the participants will take a part in every activity and getting knowlegde. Start with Harvest, coffee sorting, fermentation, drying and roasting with traditional equipment. And then we will grind it, brew it, tasting and packaging it. 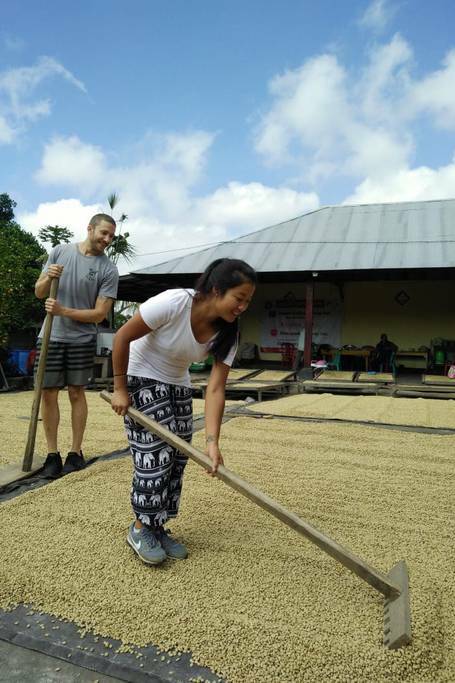 At the end of the process, participants will enjoying the final product and take home the package of the coffee. After that, we will going for lunch in a restaurant with the view of Lake and Mount Batur Caldera. Participants also entitle of Coffee Workshop certificate by my Companny. Must have interest to coffee and nature. You will get private driver and experienced guide. Comfortable shoes, sport shoes suggested. Jacket or sweater if neded. Camera or phone for taking picture.